Doutzen Kroes lands the September 21st, 2017 cover of The Edit from Net-a-Porter. Photographed by Sebastian Kim, the blonde beauty wears a Calvin Klein blazer, knitted sleeves, skirt and sandals. 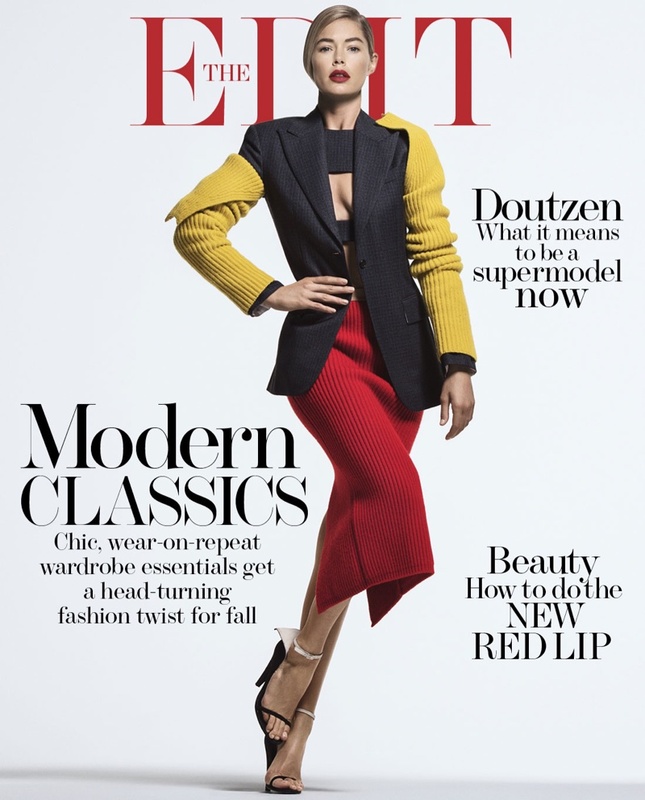 For the accompanying spread, Doutzen embraces fashion forward looks from the fall collections. Stylist Tracy Taylor dresses the leggy beauty in designs from the likes of Prada, Saint Laurent and Marc Jacobs.